After making sure that you’ve chosen a good, clean studio and the right artist for your style and you’re showing off your brand new ink, you need to make sure you take care of it correctly so that it heals safely and retains its vibrance and quality for years to come. After 3 hours, remove the bandage gently and wash with warm water (no soap). DO NOT RE BANDAGE. 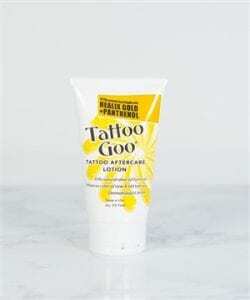 From second day wash tattoo area with antibacterial soap twice a day. After the first 10 to 14 days once the scabs have fallen off, apply a scent free moisturiser to the area after washing each day to help the skin recover. 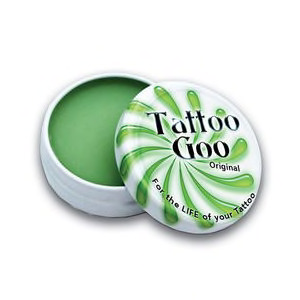 If possible use one specially formulated for tattoos, such as the one we carry at the studio. Stay out of sunlight and tanning booths until tattoo is healed, at least 14 days. Extreme sun and exposure over the years can and will fade your tattoo. 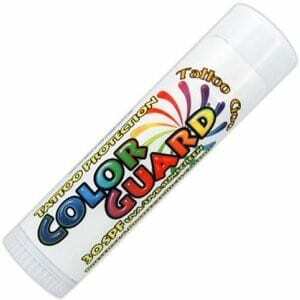 This can be minimized by using a strong sunscreen, at least SP25, if possible one formulated for tattoos. Your tattoo should heal in 3 weeks. Consult a physician if any signs or symptoms develop such as the following: redness at site, green/yellow discharge (foul smelling) and/or fever. If you have any questions about your tattoo or the healing process feel free to contact us for advice.